So this past weekend (Sunday) a friend of mine and her visiting cousin took a trip to Brazos Bend State Park. The park is located off FM 762 about 30 min south of Sugar Land or an hour south of Cypress (where I hold up). So we took off early about 6am as to get there when the park opened at 7am and to try and beat some of the heat (ya didn’t happen there). This park is a great place to visit to take pictures of birds and alligators, however, I strongly believe that the activity this late in the summer is lacking compared to the spring migration time (March/ April). There was still some birds on the water to photograph and I have included a few examples below but overall it was a lacking day. So, if you wanna photograph birds and are in the Houston area, Brazos Bend State Park is a great place to start. The best times are when the park first opens (or before if you have a pass and on the early guest list) or about an hour or so before sunset. These seem the best times and when birds are most active. If you are into macro and like taking pictures of the little crawlers, there are great fields to wade through. Bugs seem to be best to photograph in the morning or on cool days as they don’t move as quick. So go check it out and be sure to bring your camera. It’s a great place to go to get out of the city and easily a day or 1/2 day or even less of a trip from Houston. You can find my full collection of Brazos Bend State Park photos on my site or by clicking HERE. You can also order unmarked prints if interested through my site as well. Enjoy cheers. 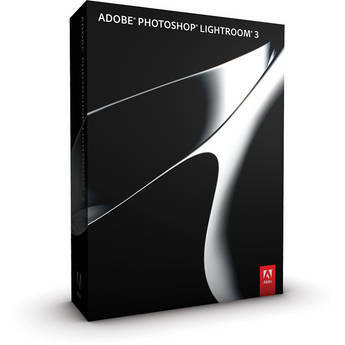 Right now B&H Photo Video is offering $100.00USD off (instant rebate) on Adobe Photoshop Lightroom 3 until August 20th 2011. This is an awesome program for processing and organizing your images. I moved from using Adobe Bridge as my first step processor in post work until I discovered the new and very much improved Adobe Photoshop Lightroom 3. From importing to making adjustments to your images, Lightroom has a lot of settings to use to help hasten your workflow. You can find the discount HERE . Enjoy. Wasn’t a photography trip but as always took the camera along with me and a buddy and I took some pics. Took the Jeep off-road’n today at a nice place just north of Houston. Was a great trip to finally get the Jeep back out on the trails and have some fun playing in the mud. I’ve attached below just a few pictures from the trip. Not many were taken as the trip was cut short when I broke one of my fuel lines. Got the Jeep home okay after towing it with two tow straps and a family members truck. Time to fix her up stronger and get back out there. I mounted up a tripod inside my cab and shot some video from the 5D2 and will be processing that in the upcoming week. Not really accustom to post editing video so it’ll be fun learning and tackling this. Enjoy. As a photographer we always find ourselves behind the viewfinder and never really in front of the lens. One of the hardest things for a photographer (at least in my case) is to take or even accept a picture of ourselves being taken. This leads to some interesting things. We have loads of photographs of other people from all over the world or where ever we have been. Thousands upon thousands of files that have nothing to due with the person take the photo. There’s why it’s always fun to stand back and take a photo of a photographer working, trying to capture that moment and freeze it in time. When out and about photographers can be seen doing all kinds of crazy things just trying and looking for that perfect spot to capture the beauty of the world around them. 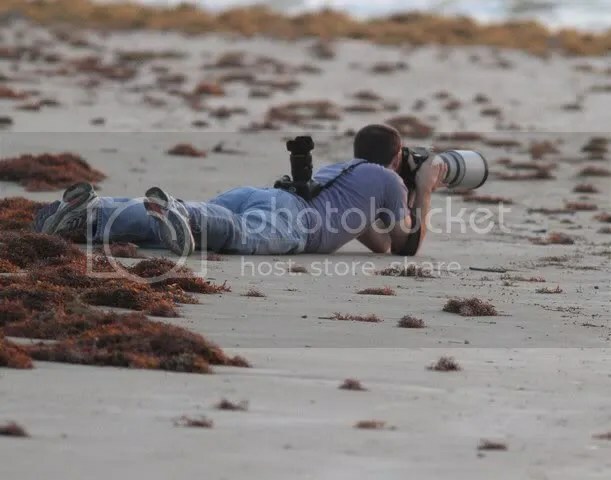 A while ago (couple months) I went out to the Bolivar Flats with another photographer to shoot the birds along the coast line. Little did I know that wail crawling along the ground trying to sneak up on some birds to photographer I was actually the subject of a photograph. I always do enjoy these as you really get a since in what a photographer will really do just to get that one image. I know I have done some crazy things. So last night I got the privilege to cover for one of the photographers for the Dynamo Girls. I must say, it really made a difference talking and meeting with many of them. A lot of people believe outside that the dancers for professional sports teams are just stuck up beauties. However, this is as far from the truth when it comes to these wonderful ladies. Not only are they accepting to outsiders they show loads of support for their team and the fans. They have the upmost respect for other and are not even full time dancers. Many of them have jobs outside of the Dynamo world and some even finishing up school to be successful personal in the world. All I have to say is it was a pleasure to shoot for these ladies and meet some of them. For all the fans that are shy to go up and say hi to them don’t be. They seem to enjoy interacting with the fans knowing that the support of the Dynamos we all have in common.